Why Choose Archer Restoration Services? We are insurance claim specialists! With over 25 years of experience, we can restore your home! We want to be your hero! 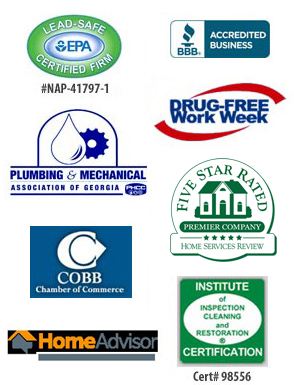 Call Archer Restoration today at 770-917-8868. We are fully licensed, bonded and insured, with courteous and knowledgeable staff. 1. Water Damage and Water Removal: Removal of water after storm damage, flood damage, pipe breaks, leaks, etc. We clean up debris, remove damaged areas if necessary and bring in professional equipment that will dry out the structure of your home. We also take care of all repairs afterwards to get your home restored. 2. Mold Testing and Mold Removal: We test for and eliminate mold at the source and treat it to keep it from coming back. We look inside walls, ceilings and floors for damage that may be hidden from sight. 3. 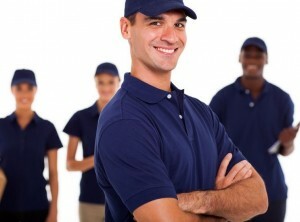 Sewer Damage and Sewage Removal: We clean up even the worst of disasters! Sewage can back up from the main water line or inside the home. We take care of the damage to your home and restore it back to normal. 4. Carpet and Flooring: Our goal is to restore the floor just as it was before the damage! We take care of damage to hardwoods, laminates, linoleum—any kind of flooring. 5. Drywall: We remove and repair wet or mold-damaged sheetrock to restore it back to the way it was before the damage. 6. Cabinets: Water damage, smoke damage and fire damage can ruin cabinetry. We will look at the damage and suggest a plan of repair based on the state of damage. 7. Restoration and Repairs: From minor repairs to complete restoration from damage, we can return your home back to the way it was, or better than before! We take care of the job completely! 8. Remodeling: We can handle any remodeling project! From bathrooms to kitchens or even finished basements, we can do the job from start to finish! 9. Additions: If your home needs a replacement from damages, we can do new build-outs or corrections to your home. 10. Tree Removal and Tree Damage: We get rid of any fallen trees on your home, dispose of and repair the damage. 11. Roof Leaks and Repair: We inspect the damaged areas for problems, repair it and take care of any water or other damage resulting from the roof leak. 12. Smoke and Fire Damage: We remove ash and soot residue, get rid of smoke odors and repair areas damaged by smoke and fire. 13. Disaster Response 24/7: We are available 24/7 for any emergency. We get out to your property quickly and get the job started immediately!